For any FCA regulated firm, the risk and compliance function is an essential and integral part of the business – but it wasn’t always that way. Martin Kisby, Head of Compliance at Equiniti Credit Services, explores the motivations behind the evolution of compliance functions in consumer credit firms. Risk and compliance departments, once held in low esteem by other business units, have evolved into a crucial function for protecting profitability. This is still a controversial statement in the consumer credit industry, but it’s easily justifiable. To do so, let’s take a look back. It’s 2008. The consumer credit market is regulated by the Office of Fair Trading (OFT). Firms have a set of guidelines they are required to adhere to, but in reality can interpret or even circumvent them entirely. Business objectives are often, if not always, placed ahead of consumer needs. So what was the role of the compliance function back then? Well, it provided some assurance to the OFT that firms were not ignoring its guidelines in their pursuit of profits. This often led to compliance functions being derided as the ‘Business Prevention Unit’ or ‘Profit Police’ and being allocated minimal resource. Fast forward to 2014: the financial crash has altered the consumer credit landscape dramatically. Trends in mis-selling, together with poor consumer outcomes, have highlighted the need for fundamental change. 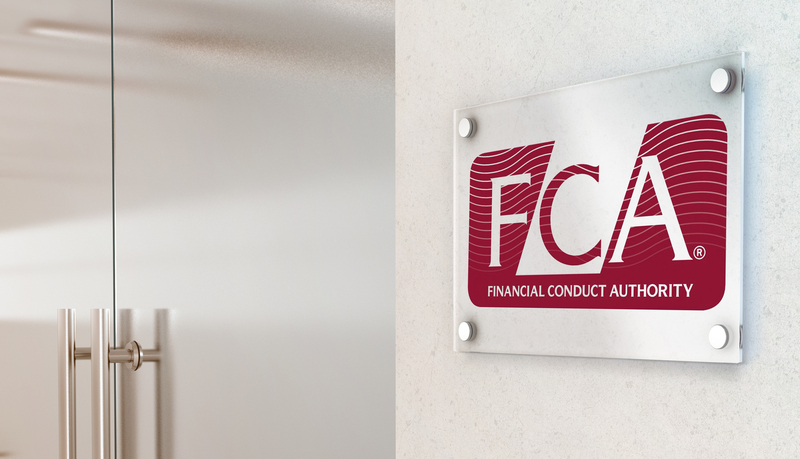 The creation of the Financial Conduct Authority (FCA), by merging the OFT and Financial Services Association (FSA), is intended to add more stability and oversight to the sector, ensuring better service delivery for consumers. The FCA developed a more robust and detailed handbook, which not only provided guidance on how firms across the sector should be operating, but also changed what was previously ‘advice’ into hard and fast rules. Firms were given only interim permissions and needed to complete an approval process to gain full FCA authorisation. This required firms to demonstrate strict adherence to the new and updated rules and guidelines. From this point onwards, the role of compliance was transformed. Firms began to allocate significant resource to this function to ensure they could provide continued assurance to the FCA that its rules and guidelines were being followed. It became imperative to demonstrate that mis-selling, unreasonable collections practices, affordability issues and poor customer service were being eliminated. The compliance department evolved from the ‘Profit Police’ into a pivotal function in every FCA regulated firm. Risk management also became more prevalent under the new regulatory body, as the System and Controls section of the FCA’s handbook requires firms to assess and manage their risks, and have a Chief Risk Officer as one of their Approved Persons – individuals the FCA has approved to undertake one or more controlled functions. These complimentary objectives meant that compliance and risk departments were consolidated. Compliance plans were established to monitor specific elements of the FCA handbook and verify adherence to them. Any identified control inadequacies could be migrated onto a firm’s risk register for monitoring and remediation. Back to the present. Four years on from the introduction of the FCA, firms have, overall, implemented the necessary oversight to demonstrate that they are meeting their regulatory requirements and treating customers fairly. But let’s be honest – there are selfish motivations too. A strong compliance department, empowered to change processes as best practice dictates, reduces the risk of both regulatory fines and exposure to defaults. This increases revenue and protects profit margins. In a sector competing on cost at a scale never seen before, and where consumer brand loyalty is decreasing by the day, protecting a firm’s margins is crucial. As compliance has increased in importance, technology has kept pace and evolved to reduce the time and cost burden regulation could otherwise have imposed. Now, best-of-breed credit management solutions seamlessly integrate compliance monitoring and reporting into their sourcing, approval and collections processes. Happily, this combination of motivations and technological developments has created a win-win for lenders and borrowers alike: an established and proactive risk and compliance function that not only protects consumers but also contributes to the strategic objectives of the lender’s business.